2. 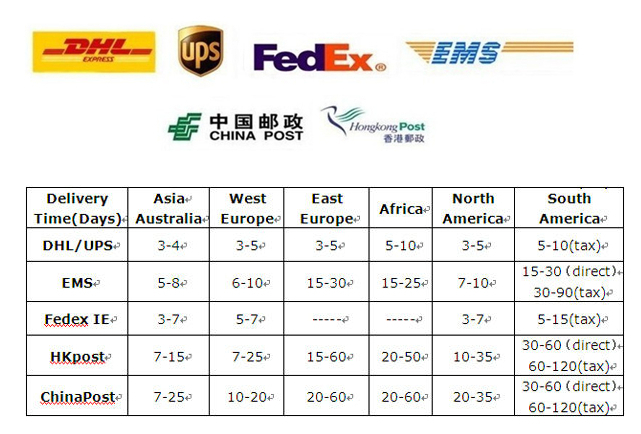 To help buyers reduce or avoid customs tax, we will write Gift or Sample at 20-30usd/pc value price on invoice. 4. Remote Area: For Remote area, DHL/Fedex /UPS/TNT will charge extra ” Remote Area Fee”, please understand it. 2. All returned items must be in the original packaging(if possible) and you must provide us with the shipping tracking number, specific reason for return. We only accept return the goods by Post or EMS. 2. Defective items MUST BE reported and returned within the warranty period (in the original packaging, if possible). 2.We appreciate 5-star positive feedback, It’s good for our longterm business. We will also send the same feedback to you.